Seeing a surveillance camera in a store or office building is a sure sign that the owner has gone all out to ensure the security of the premises. Security cameras will catch any unruly activity and report it, so you really can’t do anything but applaud the decision of the businesses you follow adding this piece of technology to their stores and office areas. Retail store security cameras can make your customers feel safe and happy, knowing that the store and their safety is protected from anyone who would seek to harm them or steal the items they want to buy. 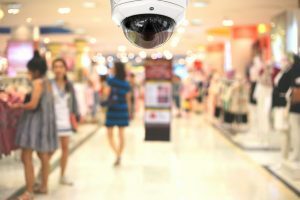 If you decide to install security cameras in or around your store, you’ll experience a huge boost in customer morale, especially if the store is located close to an area where thefts are common. Having surveillance cameras outside as well as inside your store will help a great deal in this regard.